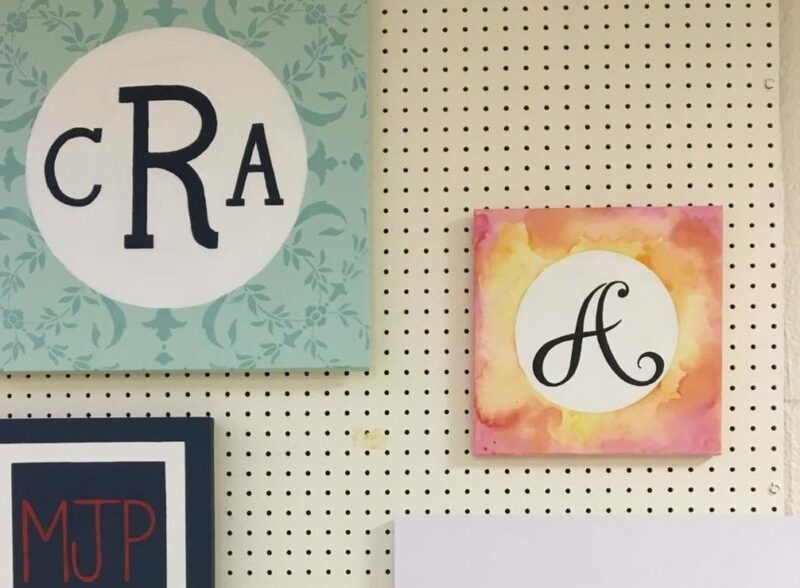 One of NAHS current projects include monogram paintings of the initials of a student. Have a passion for art? National Art Honor Society, also known as NAHS, is a group of students who show an interest in art and are recognized for their artistic talents. For NAHS member Jennifer Interiano, the inspiration for wanting to join the organization can be traced back to her sister, who was previously a member in 2013. “I kind of want to follow in my sister’s footsteps,” stated Interiano. Projects by NAHS can be found throughout the school halls. In the senior hallway, a landscape of a forest scene was painted by Allison Johansen. By the girls’ locker room, a colorful mural of swirls was created by Leanne Guarnieri last year. And the “Starry Night” mural, located outside the cafeteria, was the product of several members of the NAHS, including Interiano. “In the future, I just hope to be working on more projects around the school because I believe we should make the school more lively,” Jennifer said. The application process is simple. A sophomore, junior or senior could apply to be a member by picking up an application from Ms. Sormani at the beginning of the school year. After answering a series of questions, writing an essay, and completing two hours of service towards the art department, the applicant could be considered and granted membership. If you appreciate the arts, joining the organization would be a great opportunity to demonstrate your talents. Consider applying for next year!